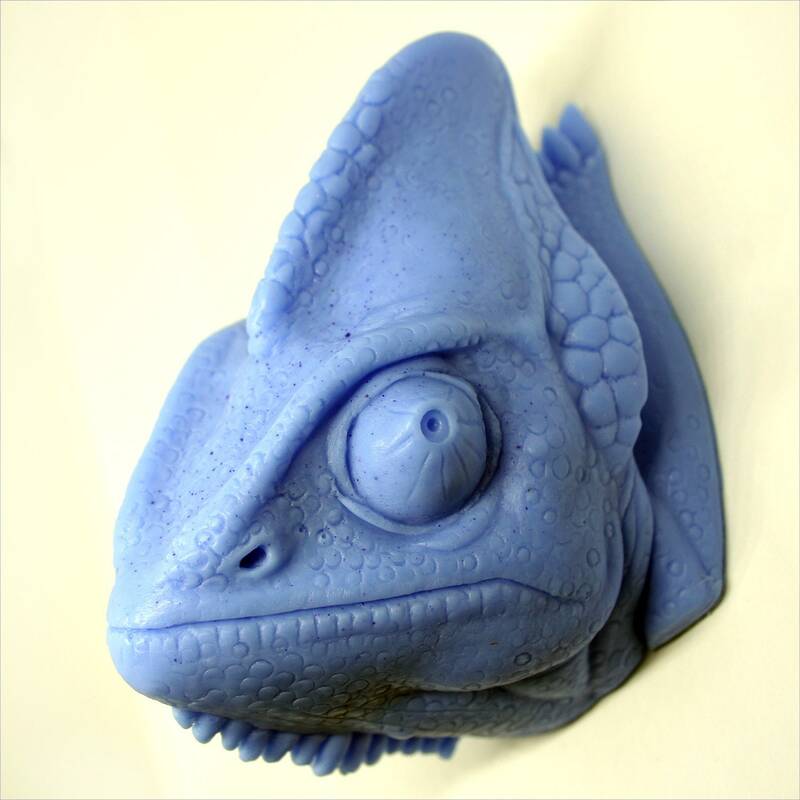 As a tribute to the hardiness, strength and determination that chameleons have to survive, even in captivity, we are proud of this Veiled Chameleon, functional art soap bar. What an incredible and beautiful creature in their own right. 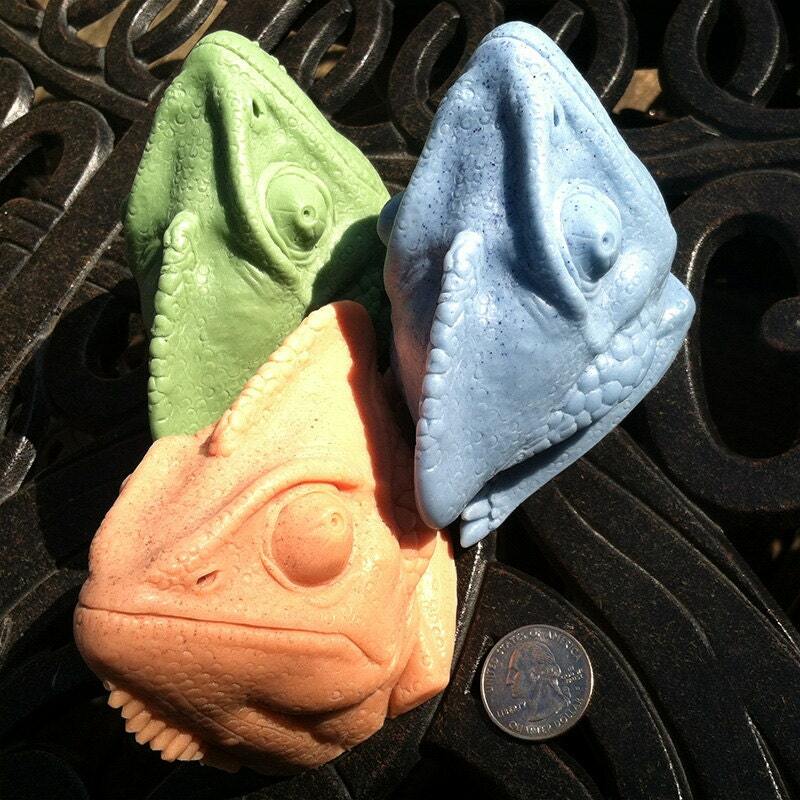 The 7 ounce Veiled Chameleon design is richly detailed and delicately scented using a low sweat vegetable base formula. The natural oils make it smooth and creamy to use while nicely achieving a soothing lather. 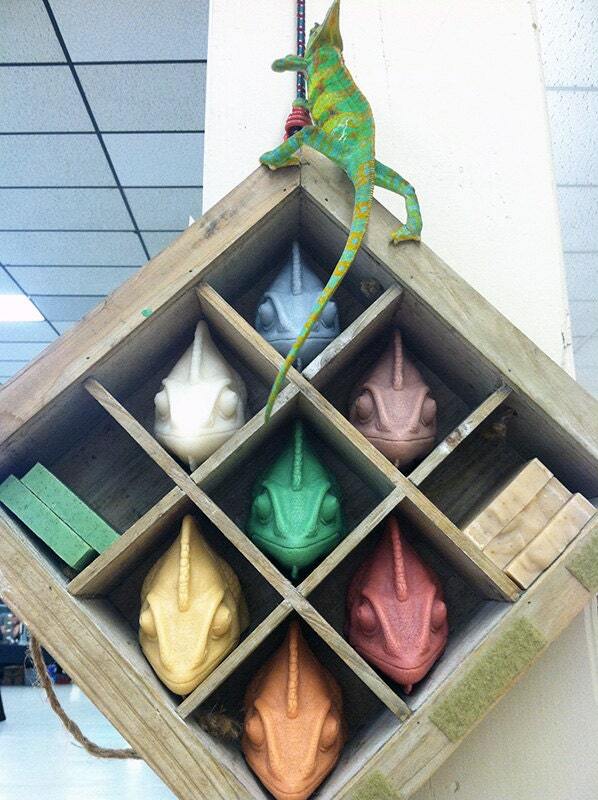 Please select from the following 11 combinations for Color / Scent using the drop-down menu above. The soap bar itself is 3" wide x 3" deep x 3" high. It arrives to you packaged in a personal 3"W x 3"D x 3"H natural color cardboard gift box, bearing a simple white label on top, wrapped with natural raffia. This packaged item weighs 8.5 ounces for the first soap bar. Shipping cost drops per item for 2 or more soap bars.